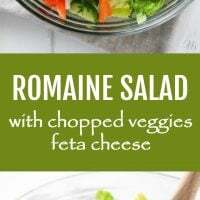 Romaine lettuce may be boring but this romaine salad with chopped veggies and feta is delicious, easy to make, and super versatile. 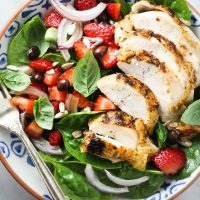 It makes a great side salad and you can also have it for lunch or dinner if you add some more protein to it. 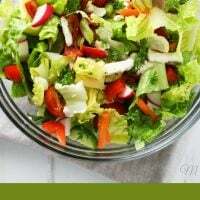 This recipe is quite large in volume so this romaine salad can also be served for a crowd at a dinner party. 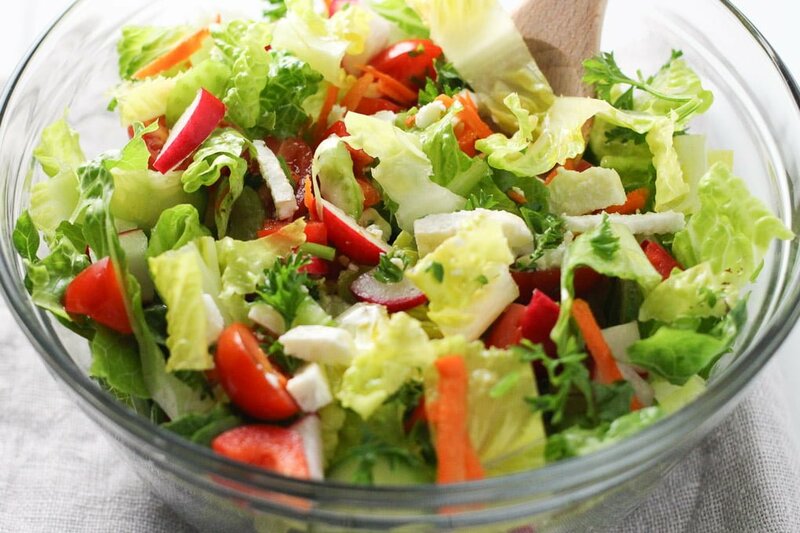 This romaine salad is perfect for hot summer days. 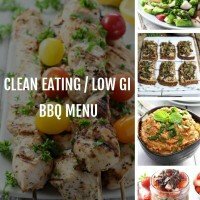 You can prepare the salad in advance and eat it the next day. In this case, don’t mix the salad with the dressing and keep both the dressing and the salad in the fridge separately. Just add the dressing before serving. This recipe can also be easily adapted so if you don’t have radishes or celery it’s totally fine. Just skip the veggies that you don’t have on hand. 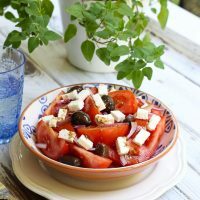 You can also use cilantro or basil instead of parsley, soft fresh mozzarella instead of feta, or avocado or flaxseed oil instead of olive oil. 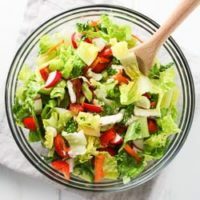 If you are looking for more side salad recipes, check out this German Cucumber Salad, this Mediterranean Tomato Salad, and this Healthy Cabbage Salad. 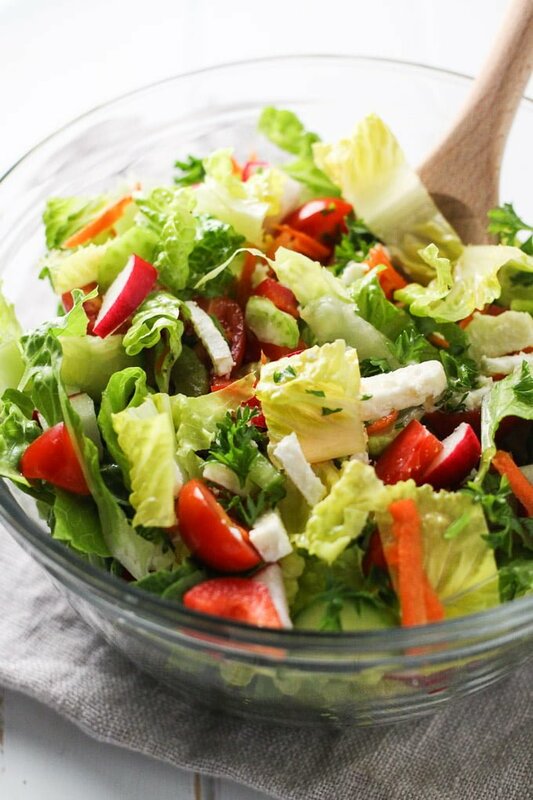 This romaine salad with chopped veggies and feta is delicious and very easy to make. 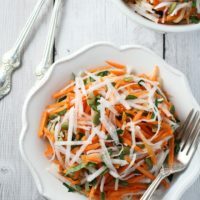 It’s perfect as a crunchy side salad and you can also use it as a base to create a healthy veggie and grain bowl. This recipe is perfect for a dinner party. Made with simple lemon dressing. Gluten-free, vegetarian. To make the dressing, combine the lemon juice, olive oil, balsamic vinegar, basil, and salt. 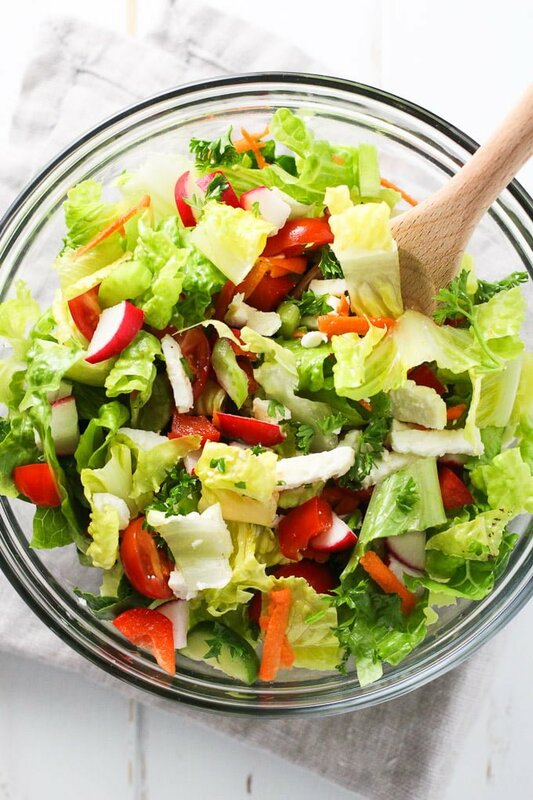 In a large bowl, combine the lettuce, red pepper, radishes, cucumber, carrots, tomatoes, celery, parsley and feta cheese. 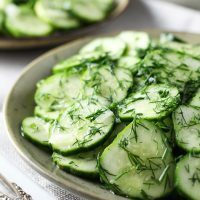 Mix with the dressing to serve immediately or refrigerate separately and add the dressing just before serving. Nutrition information is a rough estimate for 1 of 5 servings.